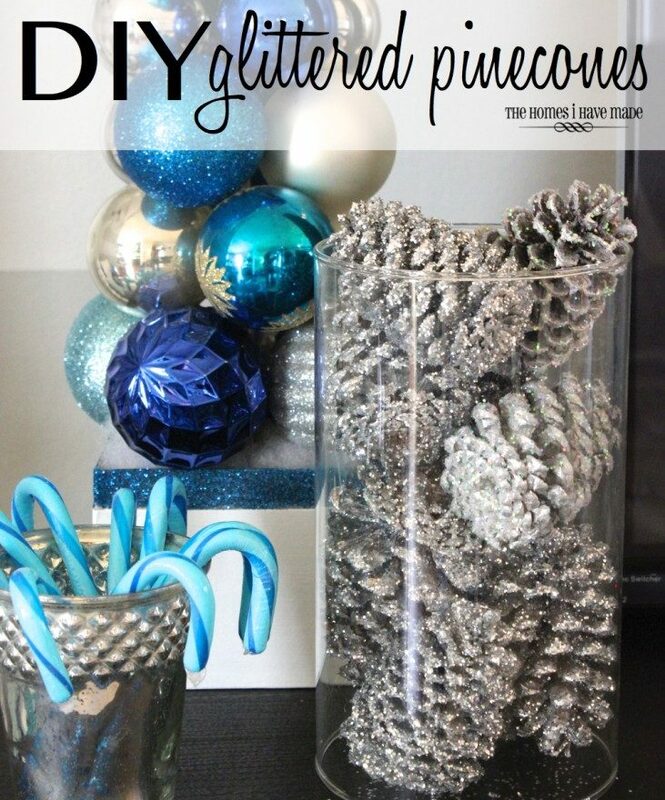 Tucked into floral arrangements, used as place cards on a holiday table-setting, or even as ornaments on a tree would all be fun and festive ways to add these sparkly bits of nature to your home. 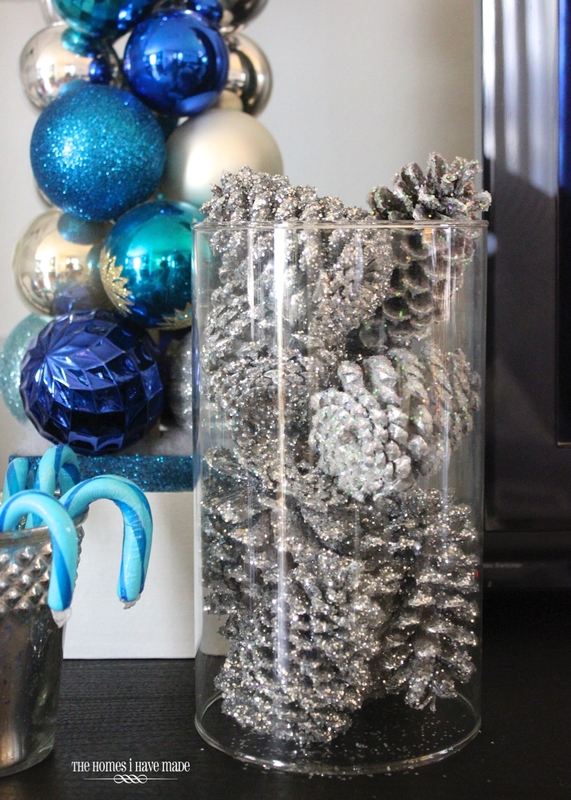 I opted for stacking them in glass vessels all over my house! 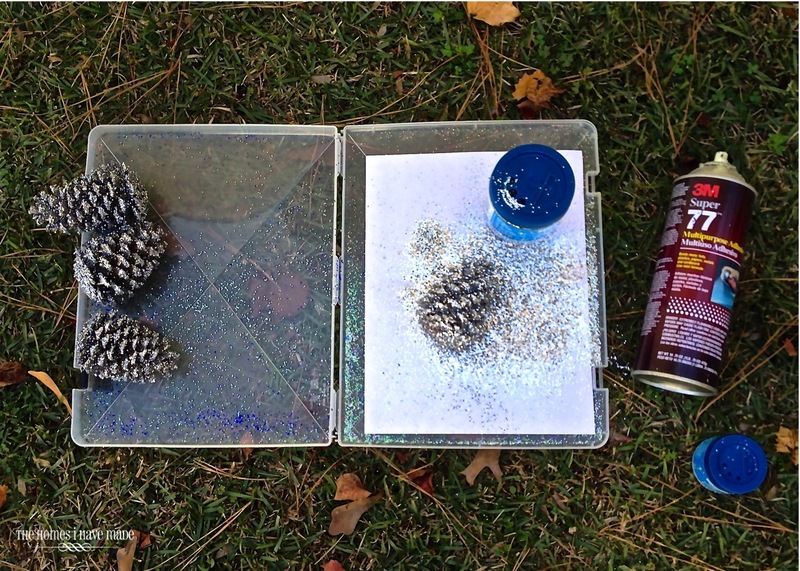 Spray paint (optional) – I found the pinecones looked a bit more sparkly when they were painted first. I used some silver spray paint I had leftover from some other projects. 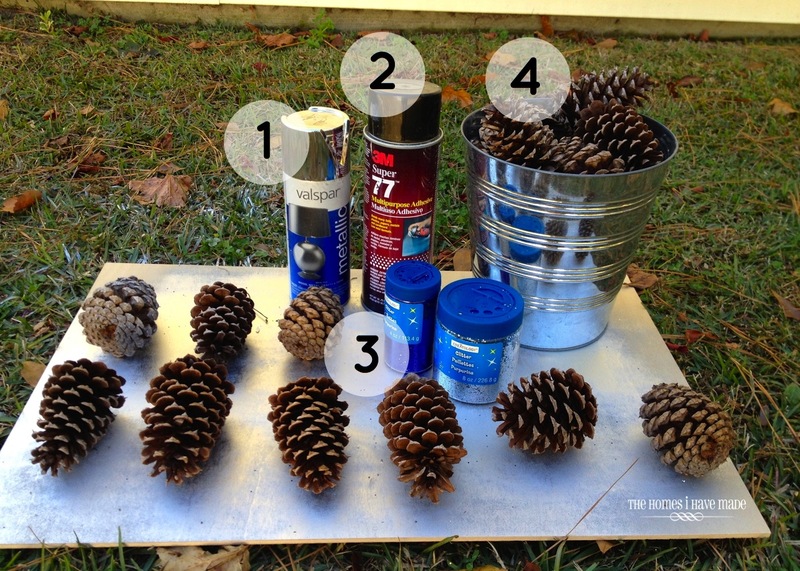 Spray adhesive – don’t even bother with glue, this is the quickest and easiest way to get the pinecones super sticky and ready for glitter! Glitter – I found the “bigger” glitter to be better. While the really fine glitter is lovely for lots of craft projects, I found the chunkier craft glitter ideal for this project. 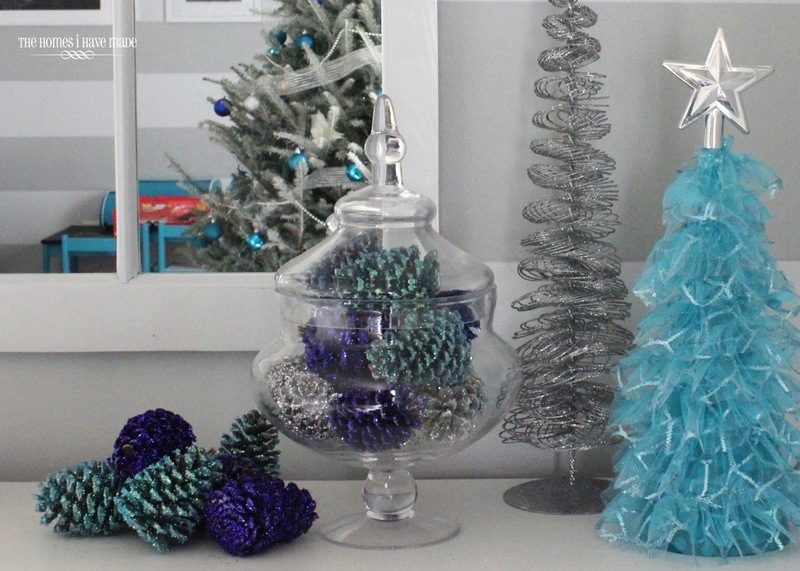 I bought mine at Michaels using coupons. Pinecones – I am fortunate enough to have pine trees all around me, so a couple trips to the park with some buckets provided ample pinecones. 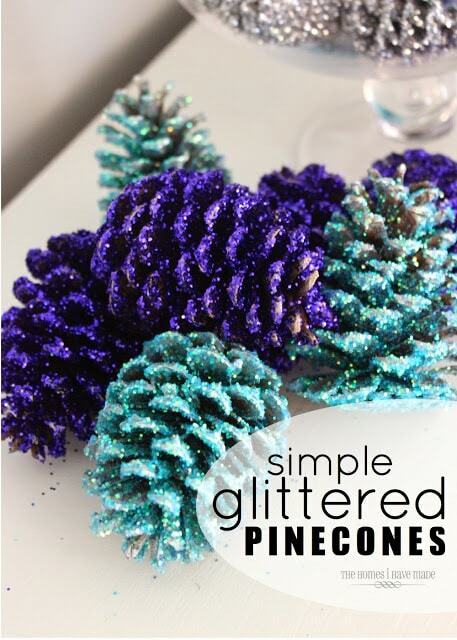 You can also buy pinecones at craft stores! 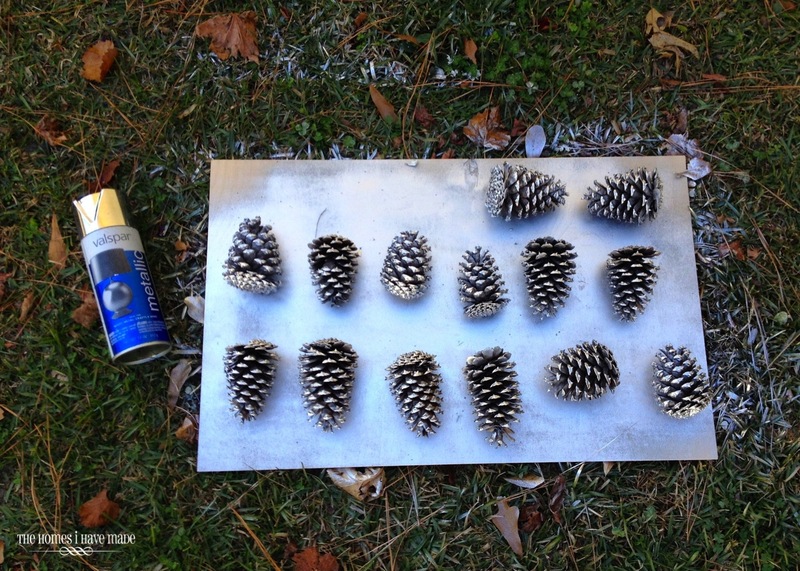 The first thing I did was spray down the pine cones with spray paint. I didn’t even bother to let them dry as I turned them over and got them from all sides. it’s really hard (and not worth it) to get all the insides fully sprayed down, but try and give them each a touch of silver (or your preferred color) before glittering them. As soon as they were sprayed (again, I didn’t really wait for them to dry), I grabbed one at a time and sprayed them completely with spray adhesive. (I was hoping the spray paint would be sticky enough to hold the glitter, but it wasn’t.) Be sure to spray your adhesive far away or in the opposite direction of your glittering station. 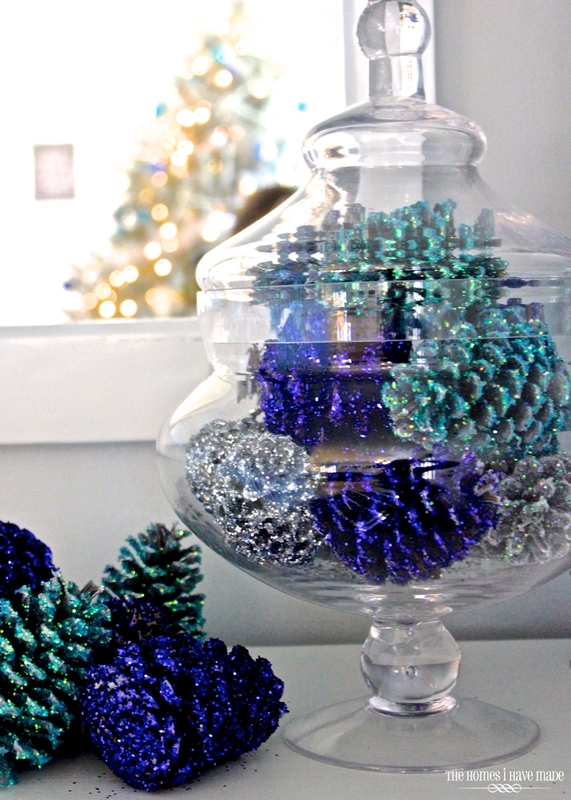 That way you can pour all your excess glitter back into the container! With your pinecone sprayed with adhesive, liberally dump glitter all over the pinecone, turning as you work to get it covered on all sides. Be forewarned, it gets pretty messy and you’ll end up with a ton of adhesive and glitter on your fingers. I don’t think it can really be avoided, but it was actually pretty fun so just embrace your inner-child artist! 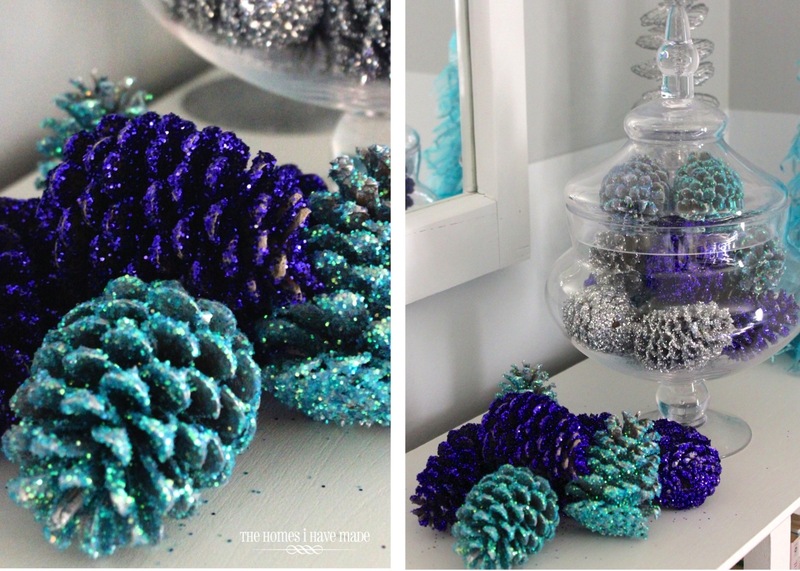 Take a few minutes to shake off the excess glitter from the pinecones before letting them dry and moving them into the house. I worked in color “batches,” doing all the silver first, then all the turquoise, then all the royal blue. That way my glitter wasn’t mixed and I could re-load all the excess back into their bottles for future projects. 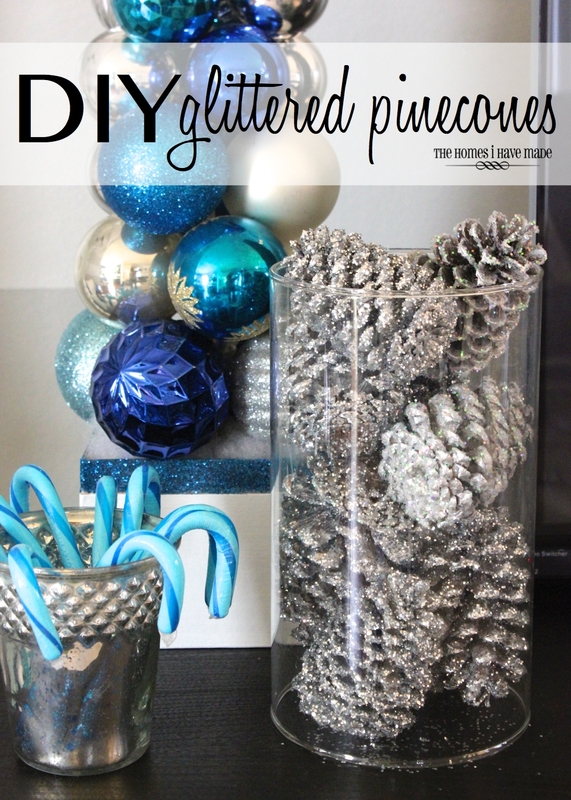 At first I wasn’t sure what to do with all my pinecones, but then I found they made perfect “fillers” for empty jars and surfaces! 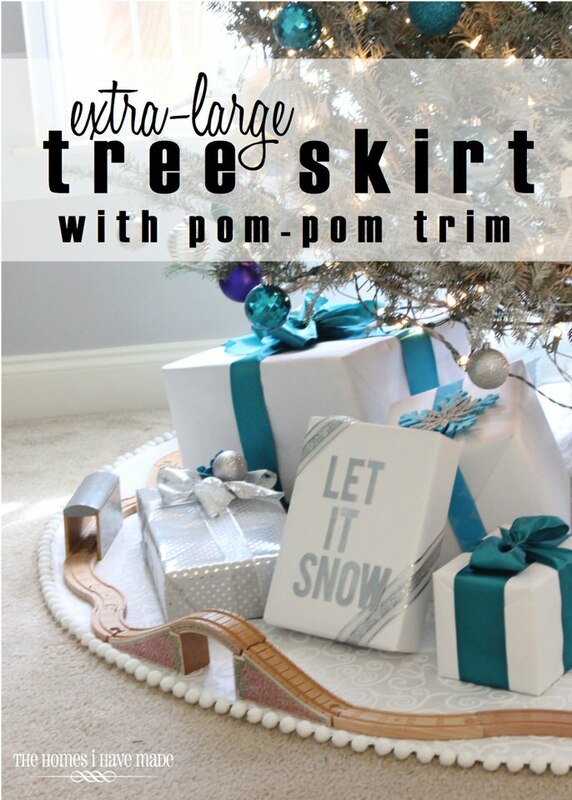 Festive and practically free! 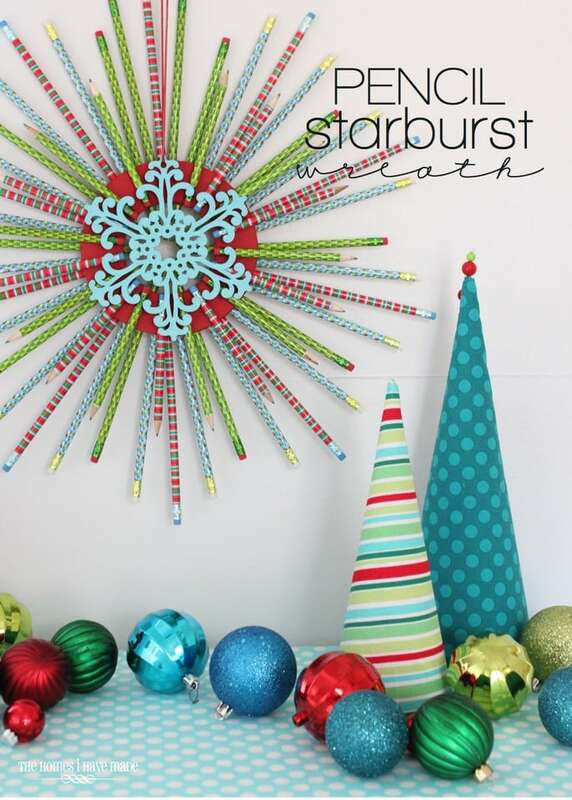 I know many of you might already be done with your Christmas crafting for the season. 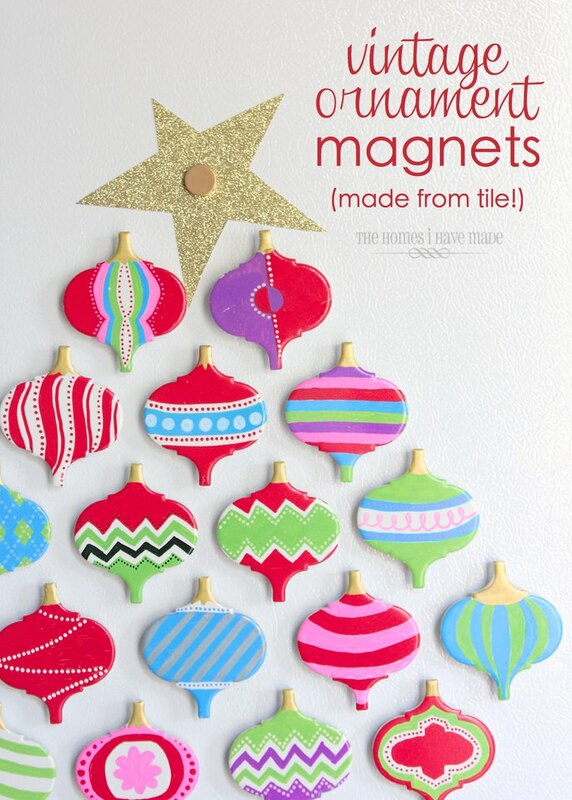 if so, be sure to pin or bookmark this one for next year – they really are fun to make and oh-so-pretty to display! 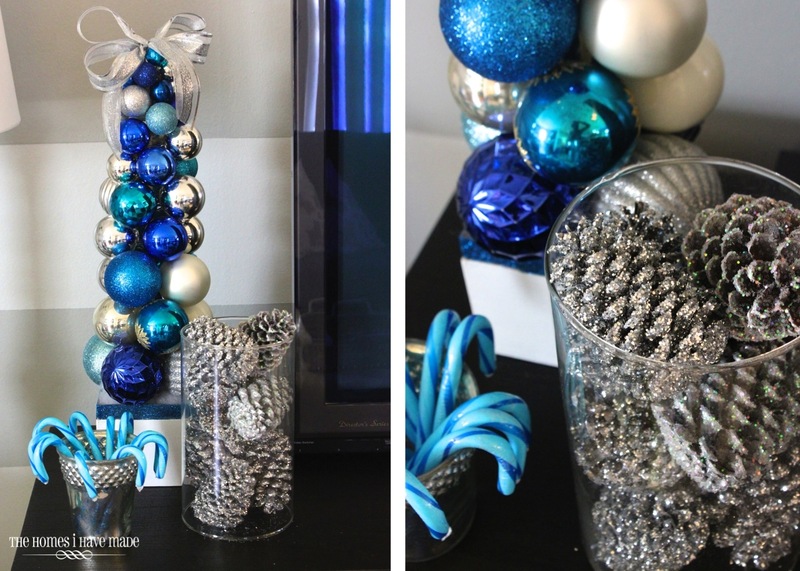 Looking for more quick and easy holiday decor? 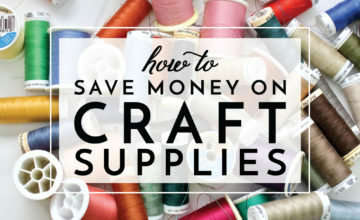 Try these great projects! 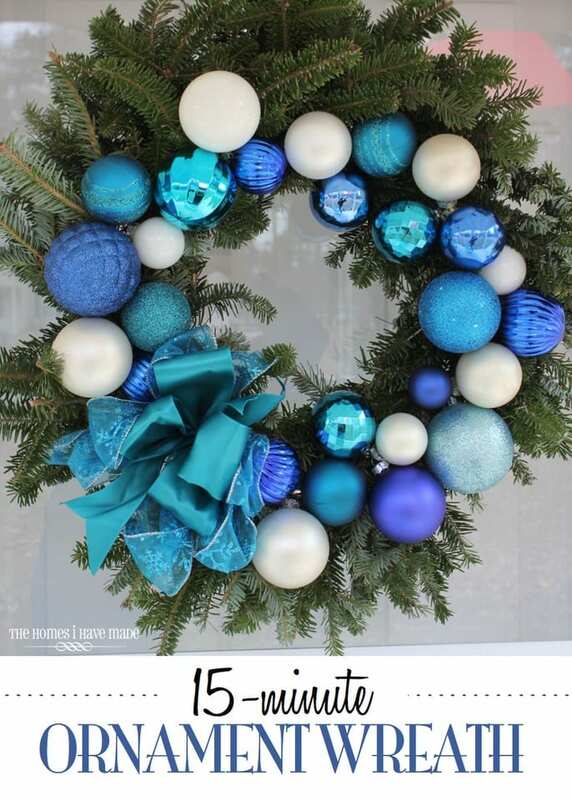 20+ FREE editable pages to help you plan and organize your best holiday yet! Learn more or subscribe below to get them sent straight to your Inbox! Thanks so much! Now please check your Inbox to confirm your subscription! 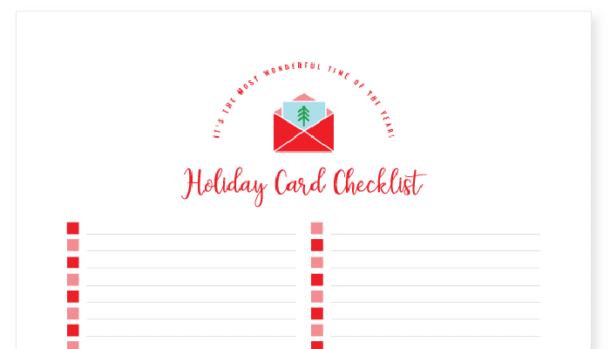 20+ FREE editable pages to help you plan and organize your best holiday yet!